MINI Repair in Orlando | C & G Auto Center Inc. 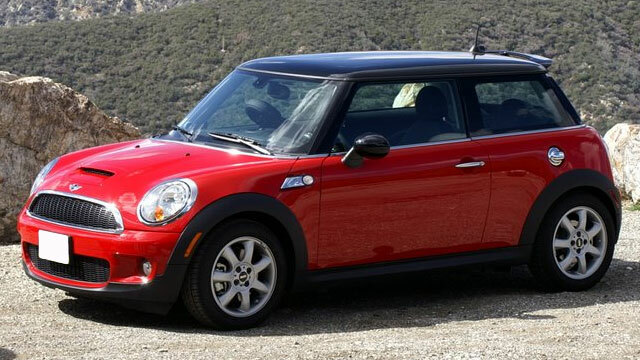 If you are a Mini owner, the highly trained auto mechanics at C & G Auto Center know how important fun and freedom are to you and we will do what it takes to get you quickly back on the road. If you are in the Orlando, Davenport, and Winter Park areas and your Mini is in need of auto repair, this is your go-to shop. Not only are our auto mechanics skilled and experienced, but this family owned and run shop will treat you like family. We know a Mini has special needs and we have the experience, tools, and equipment to get the job done right! The goal of the C & G Auto Center team is to make you family. We go out of our way to meet and exceed your needs and expectations. We offer a nationwide warranty of 24 months / 24K-miles to show you just how much we believe in the work we do for you. We also offer a shuttle service and can hook you up with Uber or Enterprise Car Rental if you are in need! “I’ve been going to C & G Auto for well over four years for all of my car services. And they never disappoint! Very informative and professional individuals. Highly recommend them!” -- Cornelius B. Whether you are looking for the best lawyer in the Orlando, Davenport, and Winter Park areas or your Mini needs service or repair, you can count on C & G Auto Center to do everything possible to help you and your family. We pride ourself on being a community resource as well as one of the best auto repair shops around! Schedule an appointment today, or stop by. C & G Auto Center is located at 4155 W. Oak Ridge Rd., Orlando FL.